Watch me get bogus now! Now now now, come on! 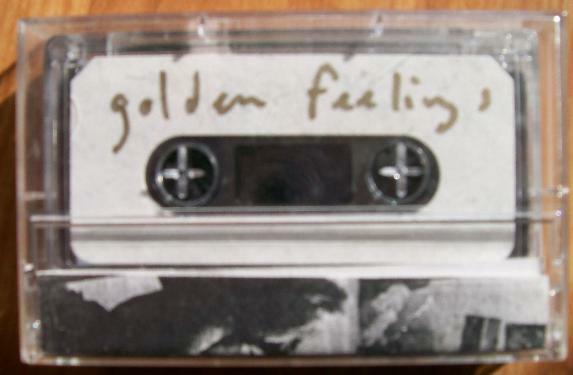 "Schmoozer," unlike most of the songs on Golden Feelings, is a full band performance. It sounds a little like early Velvet Underground with a raw melodic garage band feel to it. The electric guitar is very much in Lou Reed's style, catchy and clean. The vocals are distorted and the drums pounding give the song a very garage basement feel; in fact, it sounds very much like something that would end up on One Foot in the Grave later on in the year. The different bridges are entertaining. The first is only drums; the second a brief country-ish guitar solo (led by Beck shouting "Oh yeah, country now!"). The lyrics were probably improvised. His skills with melody and words are still apparent. Beck ends the song with some manic harmonica playing. Looking through a government web search (here) of Beck's copywrighted works turns up a song called "Feeling Hurter." It seems that some early versions of Golden Feelings referred to this song as that, but somewhere along the way it got changed to "Schmoozer." It's the same song.